To get more information about the role of MIA in the development and progression of malignant melanoma, we work with a melanoma mouse model that spontaneously develops skin tumors within 3-4 months. Crossing this melanoma mouse line with a MIA-deficient mouse should help to determine whether MIA is involved in the early development phase of malignant melanoma and which molecular role it plays in this context. There is also evidence that MIA has regulating effects on other proteins. 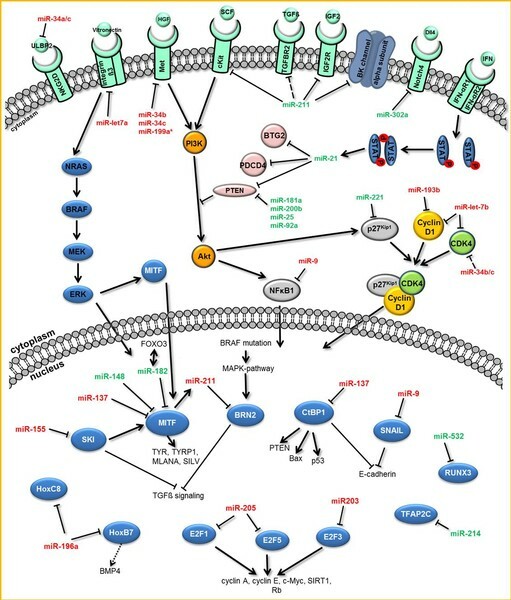 For this reason we examine the regulation of p54nrb by MIA and the role played by this protein in the development, progression and metastasis of melanoma. Crosstalk between melanocytes and keratinocytes is important in the human epidermis. It is known that the normal melanocytic phenotype and controlled proliferation of melanocytes is strictly regulated by keratinocytes via cell-cell adhesion through E-cadherin. We could show that malignant transformation of melanocytes frequently coincides with loss of E-cadherin expression and the upregulation of N-cadherin expression. This cadherin class switsch leads to the loss of regulatory dominance by keratinocytes over melanocytes. 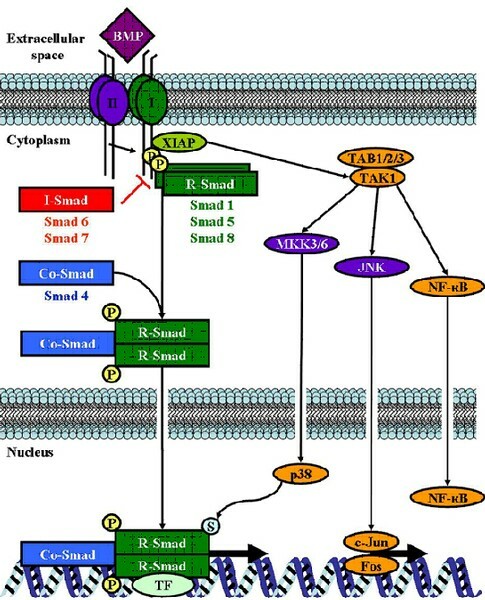 The loss of E-cadherin is regulated through the transcriptional repressor Snail. Our data further demonstrated that loss of the tumor suppressor protein E-cadherin activates signaling cascades leading to development and progression of melanoma. It leads to a constitutive activity of the transcription factor NFkappaB which has N-cadherin as direct target gene. Furthermore, the proto-oncogene c-Jun, part of the transcription factor family AP-1, is hyper-activated in melanoma. We showed a link between loss of E-cadherin expression and transcriptional activity of c-Jun. 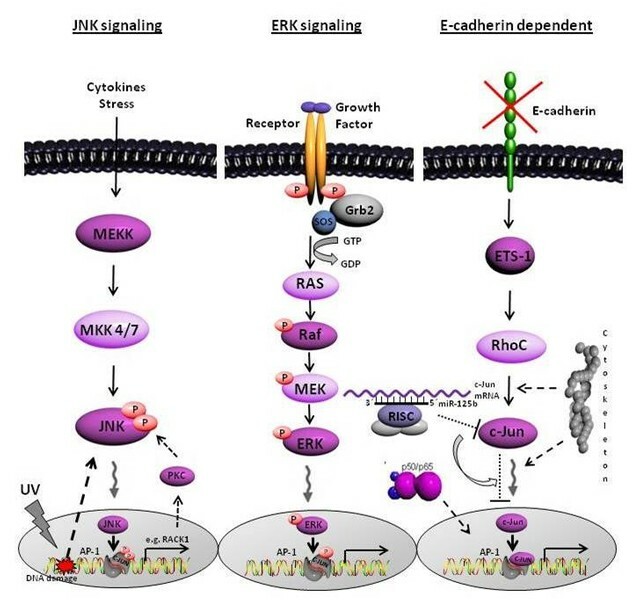 Besides the possible regulation of c-Jun by the common signaling pathways JNK/ERK, we identified a novel E-cadherin dependent signaling cascade resulting in c-Jun activation in malignant melanoma. Moreover, we detected one microRNA, the miR-125b, directly regulating the transcription factor c-Jun at the posttranscriptional level. Further investigations of our group aim to identifiy the functional role of the cytoskeletal network on the regulation of c-Jun. 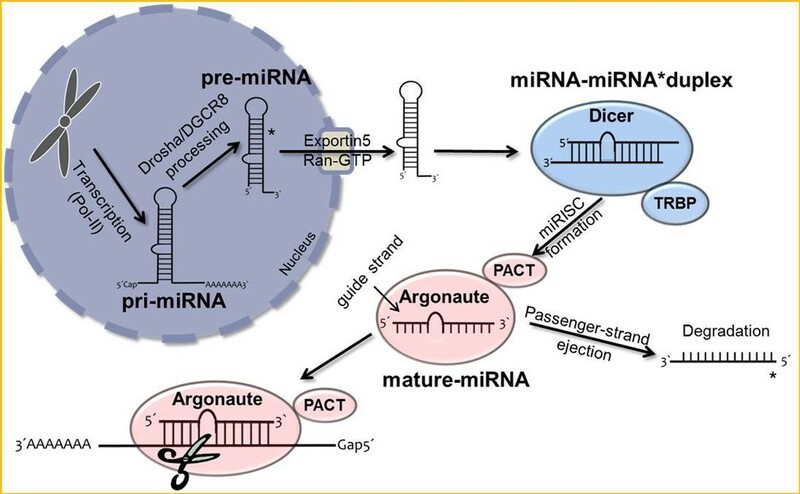 MicroRNAs (miRNAs) are short non-coding RNAs which specifically bind to sets of target transcripts, thereby negatively regulating expression of the related genes by mRNA destabilization and/or translational inhibition. Due to the pleiotropic effects of miRNAs on global gene expression, this class of molecules is also considered to play a central role in the formation and progression of presumably all kinds of human tumors. However, their impact on melanomagenesis in particular remains only rudimentary understood. In addition to the function of mature miRNAs as key post-transcriptional regulatory elements, their processing and characterization in melanoma is the focus of our current research. 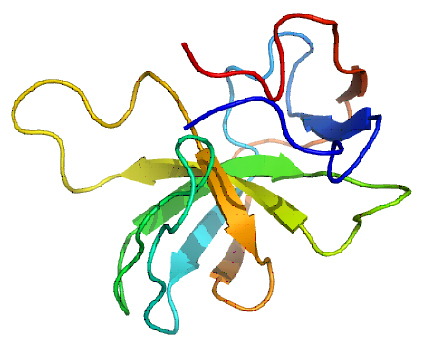 Bone morphogenetic proteins (BMPs) belong to the transforming growth factor ß (TGFß) protein superfamily of growth factors. It is known that BMPs control a broad range of biological activities in many different cell types by affecting cellular processes like proliferation, differentiation, chemotaxis, motility or cell death. Moreover, they play an important role in formation and progression of many tumors. We were able to show that BMP4 and BMP7 are overexpressed in melanoma cells compared to normal melanocytes. BMPs contribute to cell invasion and migration by inducing expression of matrix metalloproteinases (MMPs) in melanoma cells and tumor surrounding fibroblasts. Recently, we were able to show an increase of BMP7 expression in melanoma compared to benign nevi and thereby determine BMP7 as a potential novel prognostic marker for melanoma progression. In further studies we aim to identify and characterize new BMP target genes implicated in melanoma formation and progression. The enzyme methylthioadenosine phosphorylase (MTAP) is ubiquitously expressed in healthy tissue. Its function is the catalytic cleavage of 5′-deoxy-5′-methylthioadenosine (MTA) in adenine and 5-methylthioribose-1-phosphate. Furthermore, this phosphorylase also plays an important role in polyamine metabolism. In many tumor entities, MTAP expression is strongly down-regulated. We have shown in our group that this is due to promoter hypermethylation in HCC (hepatocellular carcinoma) and malignant melanoma. 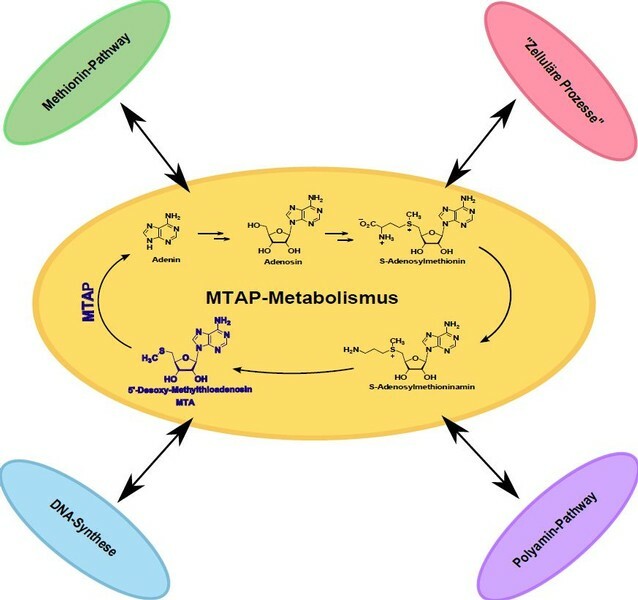 As a result of this reduced MTAP expression, the metabolite MTA accumulates both extracellularly and intracellularly. Further studies have shown that MTAP expression has an influence on the invasive potential of the tumor cells and can thus also contribute to the metastasis of the malignant melanoma. The loss of MTAP further has an impact on therapeutic approaches in melanoma patients. In the therapy of malignant melanoma interferon has been tested in large studies. There is evidence that the expression of MTAP is important for the success of this therapeutic approach. Putative further effects of the loss of MTAP and the accumulation of MTA are still largely unexplored. In order to better understand the consequences of this loss of expression, the regulatory function of MTAP is also examined in more detail. The protein MIA, which was shown to contribute to melanoma metastasis by our group, was established as a serum marker for malignant melanoma. In cooperation with the Dept. 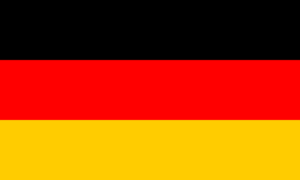 of Dermatology at the Universities of Regensburg and Munich (TU) the use of MIA diagnosis in patient follow-up and therapy control was demonstrated. Since then MIA is used as a diagnostic tool (MIA-ELISA) in routine diagnostic. Further, in several co-operations we determine the potential use of MIA as a marker or in therapy for osteoarthritis or other kinds of cartilage diseases.